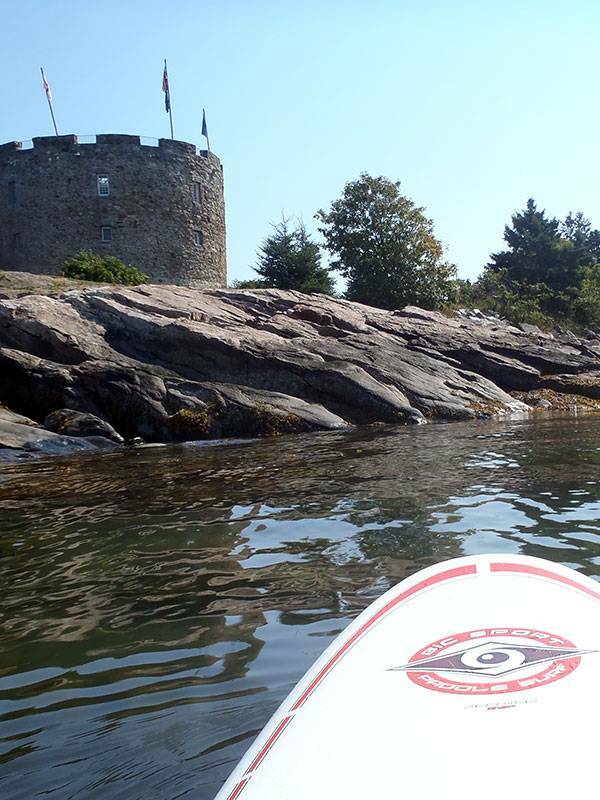 Come explore the sheltered waters of Pemaquid Harbor by paddle board – launch from our Rental Base or explore on your own with pick up and free local delivery! 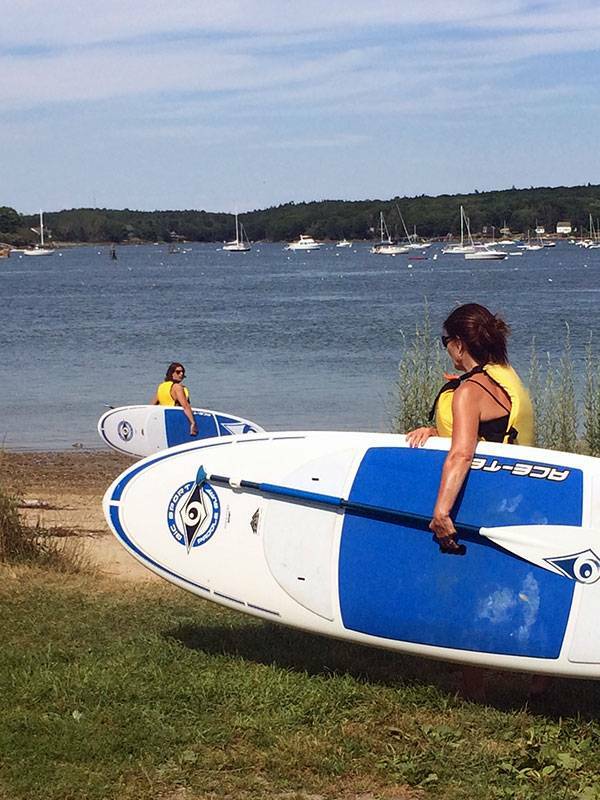 Rent a paddleboard and exprience a fun and family friendly way to quicky get on the water. 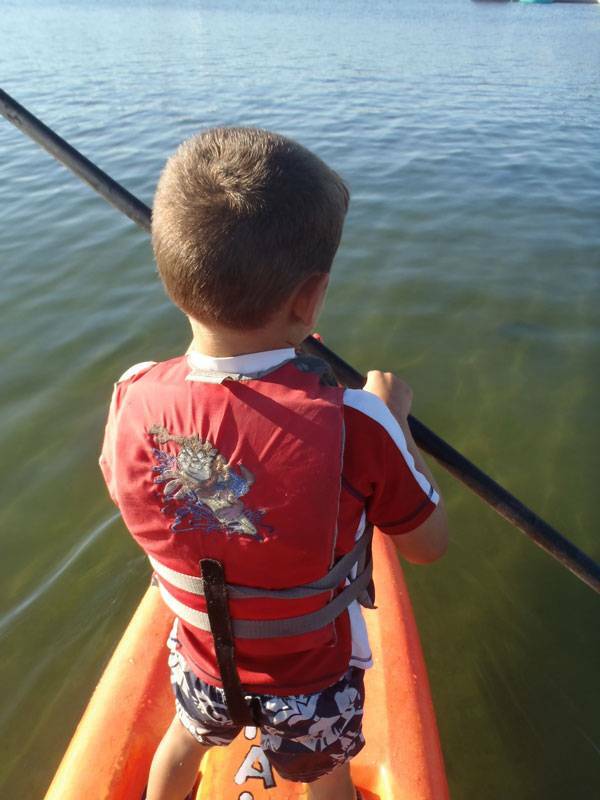 Our location offers calm waters, abundant wildlife, incredible coastal scenery and an excellent environment for skill building for beginner to experienced paddlers. 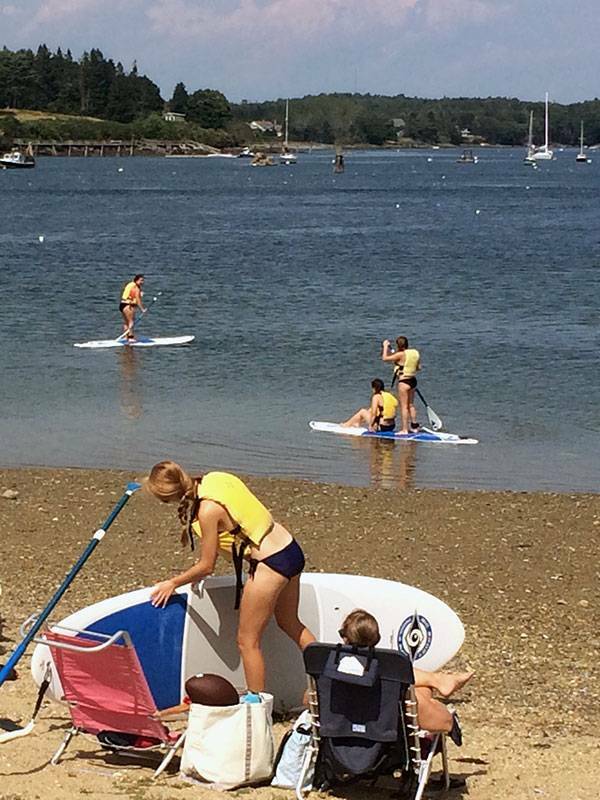 Maine Kayak offers Stand Up Paddle Board rentals in Mid-Coast Maine. 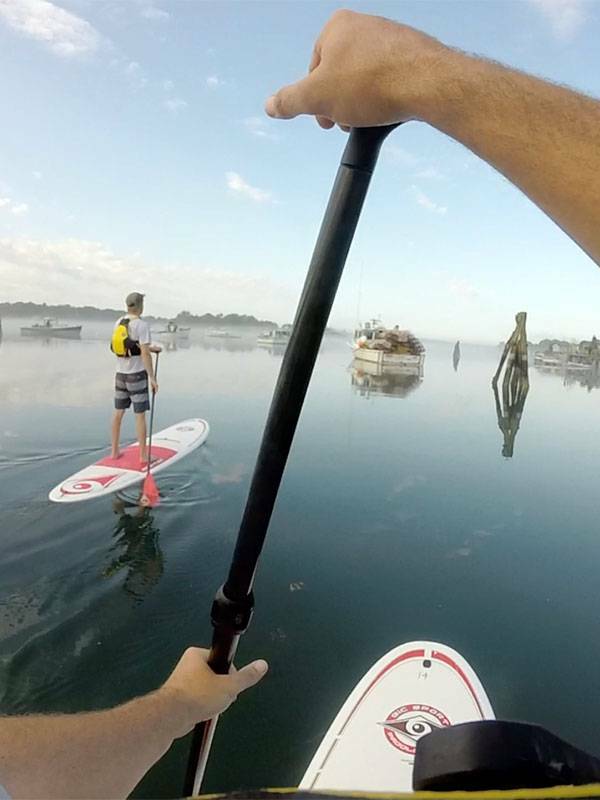 The BIC SUP boards that we have in our fleet are stable in both flat water and moderate surf–making this Stand Up Paddle Board an ideal choice for beginning to intermediate paddle boarders. We have a sheltered tidal river system for participants to enjoy calm paddling conditions while taking in beautiful scenery. You can also have us deliver the SUP boards off at a local freshwater river and pond – we have several in the area we can recommend that we offer free delivery. Paddling gear provided at no charge – splash tops, gloves, booties, wetsuits, etc. 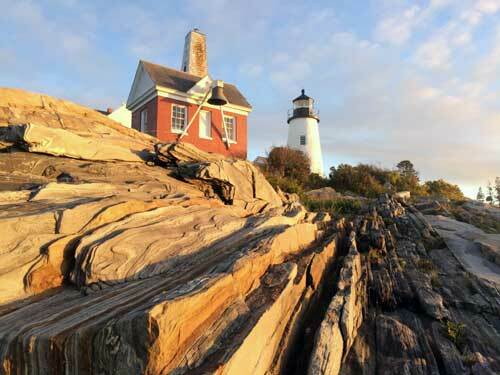 Enjoy a day on the water with Maine Kayak paddleboarding in Pemaquid Harbor and Johns Bay!